Please click here for viewing the interactive Map. This map was created using Adobe Edge for my Motion for the Web Final. 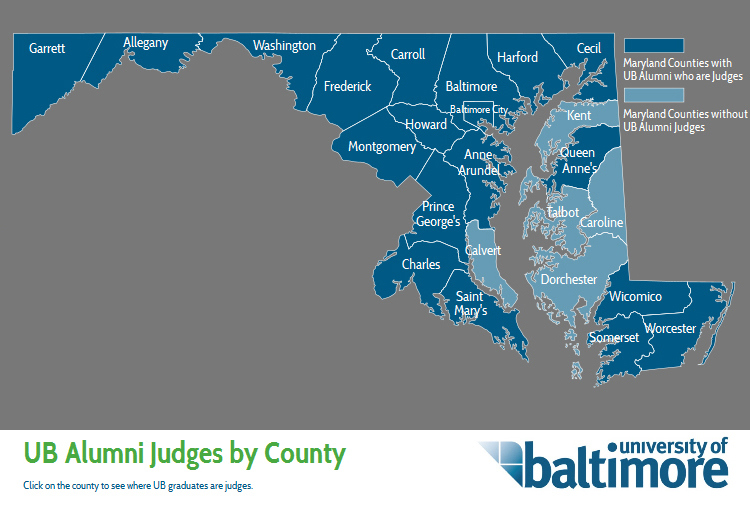 The Law School at University of Baltimore wanted an interactive map created to show all Judges in each county that graduated from UB.